“I packed up everything I knew about my life,” said Kay’Lynn Hearn of South Carolina. Kay’Lynn and 17 young adults from nine states arrived at CEF International Headquarters this fall to live on campus and serve as interns for a year. This group of interns is the largest in the history of the internship program. 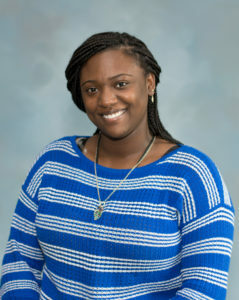 Kay’Lynn Hearn serves as the communications and marketing intern. She first encountered the idea when she attended the GUIDE Retreat to find out more about CEF. She said, “I was opposed to being here for a year, but my mom just told me to pray about it. After we had returned home, I couldn’t shake the feeling that God was calling me to do more. I took a leap of faith and applied for the internship, praying for the Lord’s will. I soon was accepted, packed up everything I knew about my life and came to Warrenton, Missouri, where I have already grown in so many ways. God has allowed me to meet and make lifetime friends, to serve Him and His people in different ways and to learn about communications. I have so many opportunities while I’m here and more waiting for me after I leave. If you are interested in serving at CEF International Headquarters as an intern you can find all the information here.